The 112 year old, 74 foot tugboat Elf sank twice in three days. 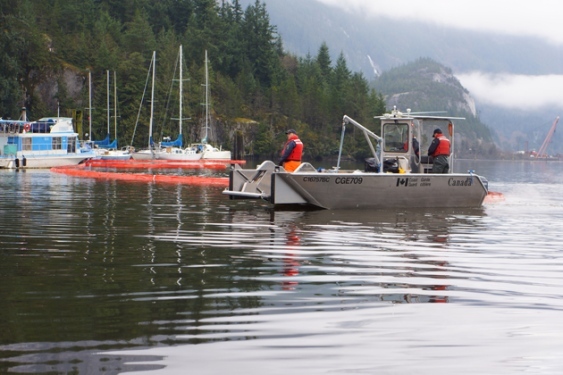 The first was in Mamquam Blind Channel in Squamish on January 14. The tug spilt some 1500 litres of diesel fuel and lubricant oil. The Coast Guard placed booms around the sunken vessel to contain the pollution. The Elf was later raised using a barge and crane. It was surveyed and no cause for the sinking was determined. The Elf was taken under tow and was headed to a shipyard on the Fraser River when the tug sank again off Point Atkinson, British Columbia. The tugboat sank and rests some 120 meters below the surface. No reports of injuries. Reports state the cause of the sinkings remains unknown. 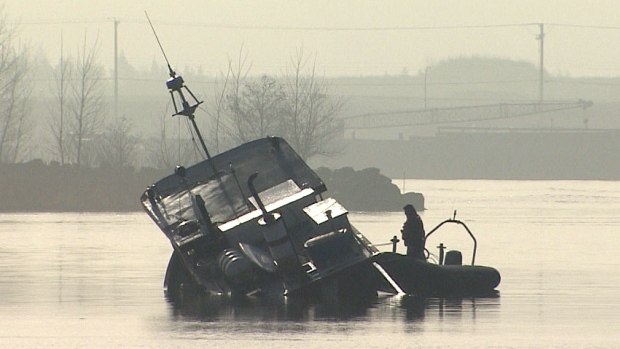 A 52 foot tugboat sank on the Fraser River on January 22 near Richmond, British Columbia. The tugboat had been at anchor when the vessel anchor dragged allowing the vessel to go adrift. The vessel drifted until it collided with a piling and began to take on water. The tug eventually sank. No reports of injuries. A small amount of pollution was released. On January 20, a tugboat and coal barge sank on the Batanghari River near Jambi, Indonesia. The tug and barge were proceeding down the river when the tug became unstable by the river current and capsized. The tug struck the barge and both sank. Two men were reported missing presumed lost.